When you need to haul serious load, and there’s not enough space in the cabin, then installing roof rack cross bars will be a good move. From skis and surfboards to kayaks and sailboats, cross bars will give you the peace of mind that your gear will stay safe on top of your car while you’re driving. Having crossbars installed is also a requirement when you want to use rooftop cargo boxes. Some boxes mount to the door sills, but they are not as reliable as rack mounted cargo boxes. Since manufacturers don’t know exactly what kind of stuff you will need to transport, they made universal roof rack cross bars that will fit various roof rack systems as well as attachments. These cross bars are perfect for a myriad of uses. To help you in finding the best crossbars, we have compiled ten of the best-rated ones right here. These are the ones that have received many excellent ratings and reviews from people like you. They also need dependable crossbars to carry tons of sports equipment, camping gears, work equipment, and other stuff that just won’t fit in the car. Go and check these cross bars out. If you want to install crossbars that cause the least wind noise compared to others, then the Thule Aeroblade is the one you want. These crossbars have WindDiffuser striping that cuts through the wind smoothly. 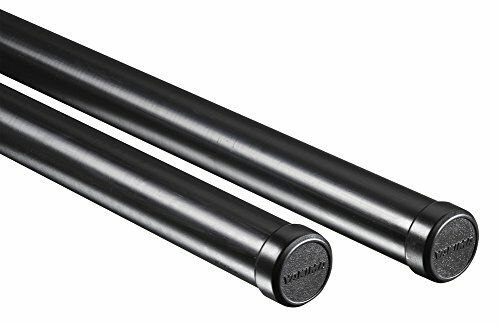 The Aeroblades are made of Aluminum that keeps the weight down. The rigid construction of the Aeroblade enables it to withstand over 800 pounds of weight. When you’re going to put tons of cargo on top of the crossbars, this high weight capacity is an assuring point. You know your cargo will be transported safely to destination without any problems. Thule Aeroblades are available in the following sizes: 43, 47, 53, and 60-inches. Whether you have a small hatchback or a large SUV, there’s a size that will fit your car. The installation manual is thorough and includes every little step you need to take. If you follow it carefully, you won’t have any problem installing these bars on your roof. Do notice that Thule sells the mounting feet separately. Thule has many attachments that you can utilize to carry things like kayak, bikes, cargo baskets, bags, and boxes. These attachments are guaranteed to fit perfectly and will provide excellent extra cargo space for your sports or camping equipment. There’s nothing fancy about these Yakima roof rack crossbars. They’re simply round steel bars with vinyl covering. However, they are high-quality bars with enough strength to do their job properly. Yes, you’ll notice some flex when you finally load stuff on it, but that’s okay. The flexing dampens the shock when you go through rough roads and terrains. When you take heavy stuff like a sailboat, that dampening effect helps a bit. The simplicity of Yakima bars is also the reason why so many people trust them. They will continue function as intended for years to come. No funny stuff that’s going to break when you least expect it. The vinyl will scratch eventually, but it won’t affect the crossbars’ performance. While round crossbars don’t have the same advantage regarding wind noise when compared to crossbars with aerodynamic design, they’re still the better choice than square bars. You will hear some noise when driving at high speed, but not much. If you prefer to lessen the wind noise, get the optional fairing. Yakima round crossbars are available to various length to cater different car sizes and cargo needs. They work well with Yakima towers, but will install just fine with different types of roof rack systems. The Rage Powersports roof cargo bars are made of heavy-duty aluminum so you can transport tons of cargo with ease. The top part of the bar is lined with ribbed rubber insert that gives extra grip for your cargo. These bars have an aerodynamic design which will help tone the wind noise down. The worst you’ll hear is some whistling when you go above 80mph. These bars install easily using the clamp system. The clamps fit roof rails up to 50-inches apart. Just screw the large knobs by hand to tighten the bars over the roof rails. You don’t need any tools, and you can completely install the two bars in less than fifteen minutes. You can then lock the knobs to secure the bars from theft. The knobs also make it easy to uninstall the bars when you don’t need them. The great thing about buying this cargo bar kit is that you don’t have to get the bars plus mounting system separately and spend hours checking if they will fit together. Nobody has time for that. As long as your roof rails have 2-inches of clearing from the car, and the rails measure 1 – 1.75-inches x 1.5-inches, you can be sure these bars will fit securely. 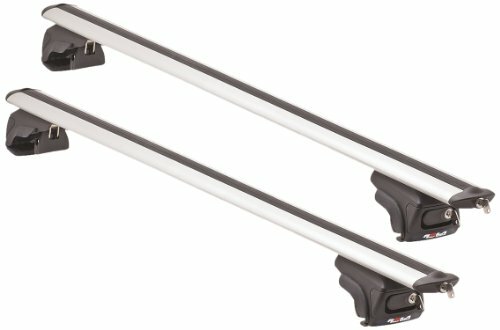 If you want a super affordable cross bars with attachment towers already included, you should seriously consider the Malone Universal bars. The bars are 50-inches long which should suffice for various applications. Malone also makes these in 58 and 65-inches variations. The bars are finished using rubberized coating to protect them from rust. 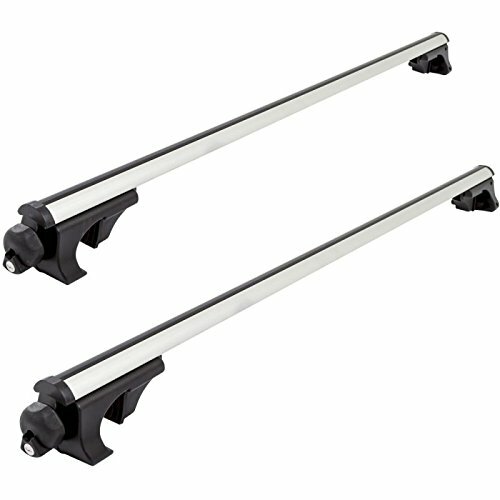 Malone rates these universal roof rack cross bars at 132 pounds of maximum weight capacity. That’s plenty enough when you need to carry your camping gears or sports equipment. These bars fit a wide range of factory roof racks and also very easy to install. Malone gives you rubber spacers to protect your roof rails from scratches too. Once installed, you can lock the towers to secure them on the roof rails. The locks are just simple key locks that don’t require guess works to use. Note that the bars are square, which is the least aerodynamic in design compared to Aeroblades and round bars so wind noise will be noticeable. The ends of the bars have plastic caps to reduce whistling, though. On the plus side, the square shape means they will fit a variety of roof cargo boxes, whether they use U-bolts or clamps. Other accessories and attachments will fit nicely too. If you’ve been looking for a good pair of roof rack crossbars to go with your Honda Pilot, then these bars from Spec-D are right up your alley. They will fit 2009-2015 Honda Pilots, except the 2009-2011 Pilot LX. Since Spec-D makes these crossbars following strict OEM requirements, they are as good as OEM ones, but at a much affordable price point. These cargo racks only weigh 6.5 pounds. They’re so light because they’re made of aluminum. They’re durable, and when combined, have 110 pounds of maximum load limit. The bars are finished in black powder coating to protect them from corrosion and the elements. Their slim profile means you’ll only hear slight whispers when you drive at high speed. These Spec-D bars come complete will all the hardware and tools needed to attach them to the side rails. While the installation instruction could be better, it’s still easy to follow. The brackets are designed so you can’t mix up the front with the back ones, so you have one pair of brackets for front bar and another pair for the back bar. Start the installation of the front bar from the back, slide it to the front, and then proceed with the back bar. You’ll complete the installation in less than half an hour. For Buick, Cadillac, Chevrolet, and GMC car owners, getting a GM accessory is a sure way to guarantee compatibility between the vehicle and the accessory. This is also the case when you go with these GM cross rails. Instead of wondering whether aftermarket cross rails will fit with your car, just get this one. You can improve the carrying capacity of your car while leaving all the guess works altogether. 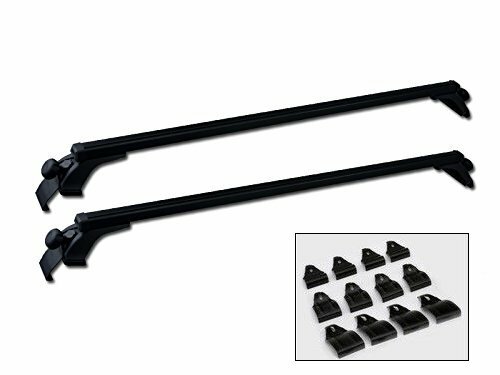 These GM cross rails are made of steel with black finish. It uses T-slot attachments, a standard in the industry which offers wide compatibility with various types of roof racks. The steel bars are slim to ensure minimal wind noise. The cross rails look sleek, and the overall build quality is excellent. These cross rails are very easy to install. They clearly marked, so you know which end should go the right and left side. After removing the plastic end caps using Torx screwdriver, slide the cross rails into place, then put the end caps back on. That’s all. The rails will stay firm wherever you go, and you can use them as the base for various cargo carriers. Kayaks, bikes, or cargo boxes, you can now carry them with confidence. With the combination of anodized aluminum, heavy-duty nylon attachments, and steel hardware, the Rola universal roof rack cross bars give you 165 pounds of maximum weight capacity. That’s serious load-bearing capability for those who need to carry plenty of camping supplies, gears, and equipment. The bars will fit roof rails 41.75-inches to 48.75-inches apart. The aerodynamic design plus the noise-reducing striping and the end caps keep wind noise down. These bars are whisper quiet even at highway speed. The combination of black and silver will look great on your car roof too. Once you put them there, you may never want to take them off. Installation doesn’t require any tools. You just lay the bars in position and then tighten them down. The bars themselves only weigh 12.8 pounds. One person installation is possible, but a helping hand will make synchronizing the tightening step easier. With one person tightening the right side and one on the other side, you can get the bars centered easier. Rola designs these bars with locks on the end caps and also on the attachments, so securing the bars and preventing them from getting stolen is easy. Just make sure you keep the keys in a safe place, so you won’t have a hard time uninstalling the bars should the need arise. 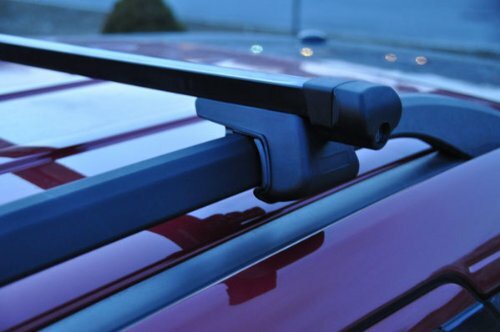 If you’re a Dodge Journey owner, you do not need to look far to get a compatible roof rack crossbars. The AtomixAuto Grabber is the one you seek. These 53-inches bars come complete with towers, locks, and keys. Everything you need to get them on the roof is already included. To install the bars, simply adjust the bars position then turn the knobs to fasten the bars in place. Use the lock to secure the bars and prevent them from getting stolen on your trip. Removing the bars is equally easy. It will take you less than ten minutes to get it done. You can travel thousands of miles with these on, and you won’t have to worry about them getting loose. These are worry-free crossbars. No need to retighten the bars when you stop for gas and such. These cross bars fit various Thule attachments. If you already have them, you won’t have to invest in another attachment. Even though it says Dodge Journey in the name, these bars will also fit other cars with factory or aftermarket roof rails with similar measurement as the ones in the Dodge Journey. With three years warranty, you can enjoy your journey knowing the company who make these bars stand behind their product. Vantech rack system is made of 14-gauge steel and 2-inches x 1-inches rectangular bars. The top part of the bars is lined with non-slip plastic guards to provide extra grip on your cargo. The mounting bases have rubber caps to prevent water leakage while also reducing wind noise. The bars and bases are very sturdy and powder coated to protect them against rust. For secure tie-down, the rack has 5-inches ladder stopper and 5.5-inches ladder guide to keep the ladder in place during transport. Both the stopper and guide can slide freely along the bars to accommodate different setups. With heavy-duty Velcro strap, you can further secure the ladders quickly. Hauling serious work and sports equipment are what these roof rack crossbars are made for. With 600 pounds of maximum load capacity, you can carry every equipment and gears that you need in your line of work with ease. It’s not just for carrying one or two ladders. Canoe, kayaks, and sailboats are no problem too. Everything you need to complete the installation is already included in the package. You will need to do some drilling to attach the bars on your vehicle rooftop. This system is not meant to attach to the roof rails. Don’t have roof rails on your car but you want to install crossbars? Then these window frame cross bars are the ones you need. 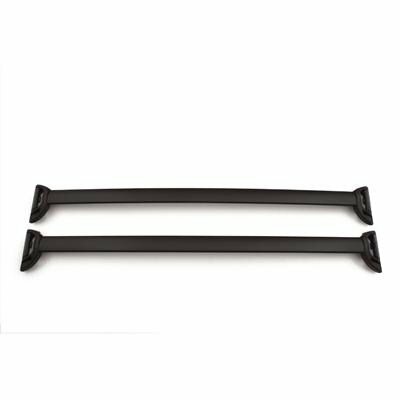 These 55-inches bars will fit cars of various widths up to 57-inches. The clamps fit window frames up to 2.25-inches wide. 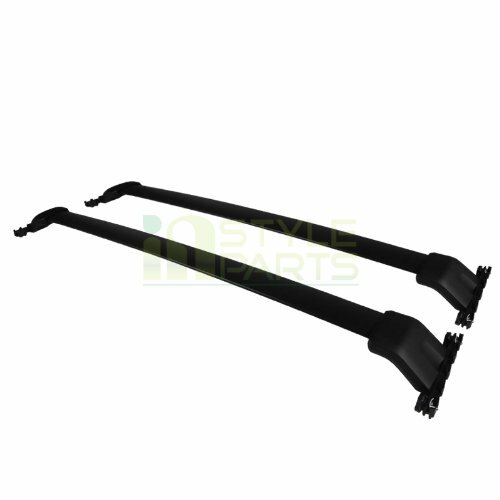 These bars come with an assortment of mounts so you can make these bars work with a broad range of car models. These bars are made of aluminum with tube construction. They have 130-pounds of maximum load capacity. That’s comparable to crossbars that are installed on roof rails. The smooth black finish is good enough to protect the bars against corrosion. Each end of the bars has plastic caps to reduce howling noise when you drive on the freeway. Setting up the bars is easy. Just place the bars on the spot where you want them to be, then hook the mounts on the window frame. Turn the knobs to tighten the grip and you’re done. All in all, these universal roof rack cross bars are excellent for people with bare car roof and prefer to keep it that way. Now you can safely carry bags, luggage, and any other cargo types without having to spend extra cash on roof rails. Increased carrying capacity: Now you can carry your whole family along with all those extra gears, bags, and luggage without squeezing everything and everyone in the cabin. Versatile: Once the crossbars are installed, you can use them to transport a myriad of things. Kayaks, canoes, bikes, ladders, roof boxes, and more. There are so many attachments that you can use to extend the loading capability of those bars. Aerodynamic: The best thing about cross rails with aerodynamic design is the lack of wind noise. Loud whistling or howling coming from the bars will be more than a minor nuisance after a short time. Easy to install and uninstall: These days, cross bars can be fitted in minutes instead of hours since most of them use clamps to attach to the roof rails. You don’t even need tools to do it. Easy uninstallation is a great thing to have too. For occasional travelers, having the bars permanently set on the roof may sound like a bit much. Great looks: This has nothing to do with how the bars perform, but it’s still a crucial aspect. Ugly-looking crossbars are hard to look at. Great-looking cross bars also mean the manufacturer pay close attention to the small details. That’s always a good thing. Cross bars are installed on roof racks. If you don’t have them already, you should buy and install them first. When possible, the racks and cross bars should be from the same manufacturer to maximize compatibility. If you want to leave your car roof bare, then bars that hook to the window frame is your only option. Always make sure to distribute the weight of the cargo evenly to minimize bending to the bars. All maximum weight capacity claims are talking about distributed weight anyway, so focusing the weight on one spot only is never a good thing to do. Wind noise does not only depend on the design of the crossbars. Where you mount them matters too. If you put them close to the front of the car, the noise will be more noticeable. Bars with open ends also tend to howl at high speeds. Use end caps to close them or use the always-dependable duct tape. Take note on the maximum roof load of your car. You can find it in the owner’s manual. If it says the max load is only 110 pounds, don’t bother buying roof rack cross bars that have 165 pounds of maximum weight capacity. 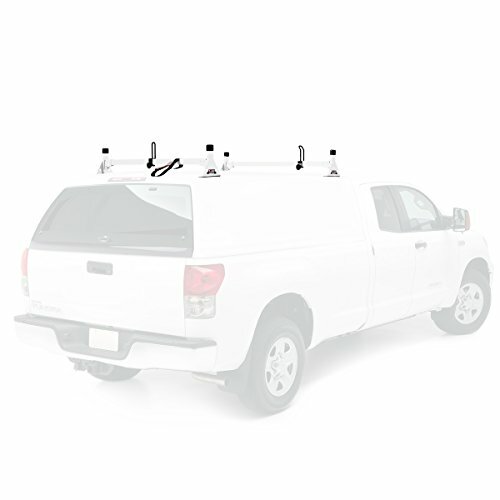 Roof rack cross bars allow you to transport your cargo in confidence. There’s no more need to make a mess in the car and cramp up your passengers. Each of the ten bars we showed you above will make an excellent choice for active people like you. Those bars are great to carry your kayaks, surfboards, paddle boats, camping gears, luggage, and much more. All you need to do now is to measure your car rails and get the bars that will fit that. You won’t be disappointed with any one of those universal roof rack cross bars.